Seta is a member or several international LGBTI organisations, see below. ILGA is a global LGBTI organisation with more than a thousand member organisations around the world. Seta is a member of ILGA and participates in the activities of its European regional member organisation, ILGA-Europe. 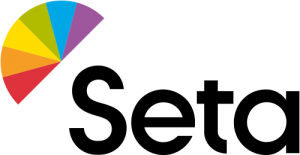 ILGA-Europe is the leading LGBTI advocacy organisation in Europe, covering the whole of Europe and advocating professionally in all of the European institutions central to human rights and non-discrimination: the Council of Europe, the European Union and the Organisation for Security and Cooperation in Europe (OSCE). ILGA-Europe provides trainings and networking to its members. ILGA-Europe publishes annually the Rainbow Europe Map and Index as well as an Annual Report on developments regarding the situation of LGBTI people in all European countries. The main gathering of ILGA-Europe is the annual conference organised in October. In 2014 the conference takes place in Riga, Latvia, in early October. ILGA-Europe has had several Finnish board members, among them Seta’s former chairperson Tiia Aarnipuu and Seta’s former vice chairperson Tanja Lehtoranta. Seta’s secretary general Aija Salo worked in ILGA-Europe from 2007 to 2008. Transgender Europe (TGEU) is a European advocacy organisation for the human rights of trans and intersex persons. Seta is a member since 2012. TGEU advocates in the European institutions and provides its members with information and assistance in national level lobbying. TGEU campaigns around human rights violations based on gender identity and expression. It arranges trainings and other events. The main event is Transgender council, organised every two years. In 2014, Transgender council will be held in Budapest, Hungary, in early May. TGEU’s board currently has one Finnish member, Arja Voipio. IGLYO is an umbrella organisation for LGBTI youth and student organisations mainly in Europe. IGLYO provides trainings to young people and its member organisations, produces thematic materials related among others to youth and education, and advocates in the European institutions. IGLYO’s board was led 2012-2013 by Roh Petas from Finland.